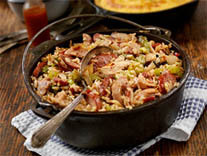 A Southern Classic Elevated - bold and spicy flavors! Guaranteed to complete a summer party! Begin by mixing shrimp with cajun seasoning, salt, and pepper. Heat a large skillet over medium-high heat. Add bacon and cook until brown and crispy, about 6-8 minutes. Transfer to a paper towel-lined plate; set aside. Remove some grease from skillet. Add shrimp to skillet and cook until pink. Remove shrimp from skillet and add garlic. When the garlic gets a nice light brown color, add the onions. Stir until transparent – then add tomatoes, spinach, shrimp and bacon to the skillet. Stir for 1 minute to combine everything. 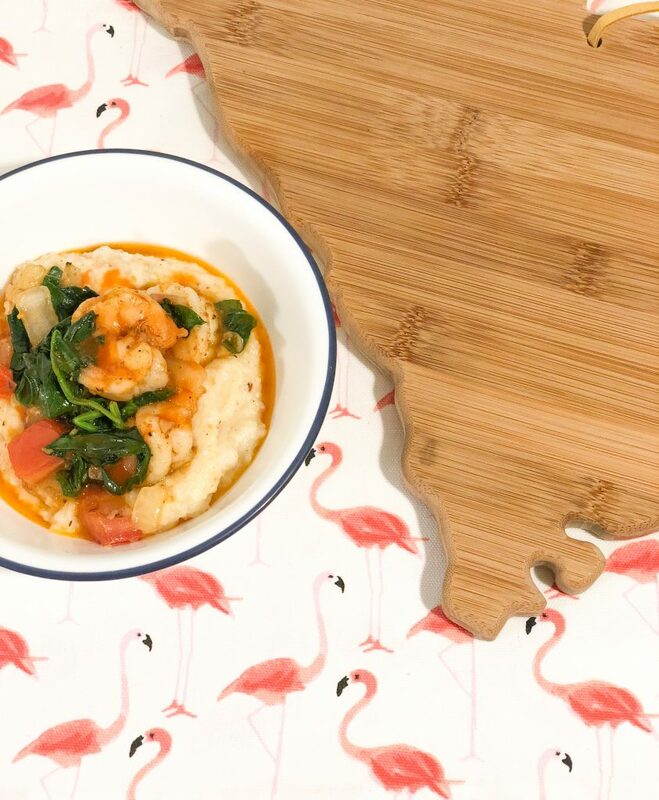 Serve over grits, add hot sauce to taste (optional).